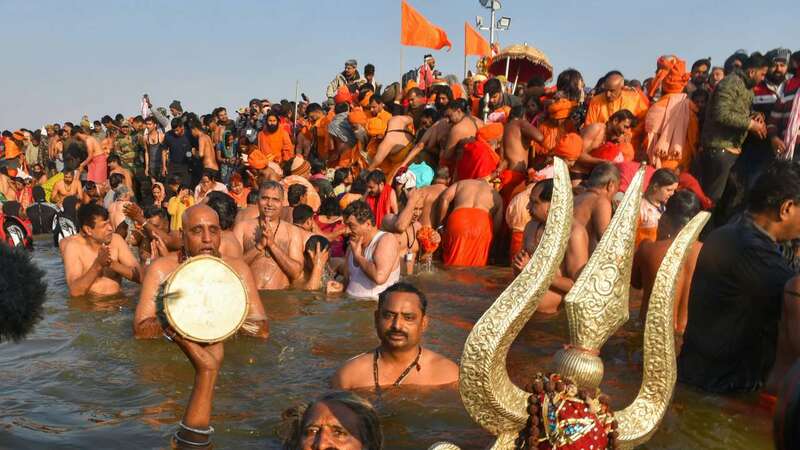 All the devotees took a holy dip at the Triveni Sangam at Kumbh Mela on the occasion of ‘Paush Poornima’. This is the second big ‘royal bathing’ (Shahi Snan) for the devotees. Devotees walked down several kilometres of ‘sprawling Kumbhnagar’ to proceed to the river. Tight security has been arranged so that people come and go with ease.